Opperman currently serves as vice chancellor of academic affairs for the Texas Tech University System. The Texas Tech University System Board of Regents announced today (Thursday, Jan. 14, 2016) that John Opperman has been named interim president of Texas Tech University and that a search committee has been formed to begin the work of identifying a permanent president. Opperman currently serves as vice chancellor of academic affairs for the Texas Tech University System and has two decades of higher education leadership experience. He will not be a candidate in the search for a new president. The action came after the regents met with Texas Tech University System Chancellor Robert L. Duncan and came as a unanimous vote in open session. Opperman begins his new duties Jan. 22. Long also announced that Regent Tim Lancaster will serve as chairman of the search committee charged with identifying and recommending Texas Tech University's next president. The committee comprises representatives from various campus constituencies, including students, deans, faculty and alumni. Opperman was named vice chancellor for academic affairs last June and has been responsible for system-wide strategic planning, academic affairs and policy development. Prior to that role, Opperman served as vice chancellor for policy and planning since 2002. He also served as vice chancellor of administration and finance and chief financial officer of the Texas Tech University System from 1996-99. Opperman also has an extensive public policy background, spending 20 years with the state of Texas working on issues related to higher education, public education and state budgeting. He has taught courses in economics at the University of Texas and Texas Tech University. Opperman holds a bachelor's degree from Texas Tech University. He also holds a master's and a Ph.D. from the University of Texas. He and his wife, Becky Opperman, also a Texas Tech University alum, have three sons: Justin, Sean and Jared. Tim Lancaster, Board of Regents, Committee Chairman: Mr. Lancaster has been a board member since 2013. He chairs the Academic, Clinical and Student Affairs Committee. He is president and CEO of Hendrick Health System in Abilene. 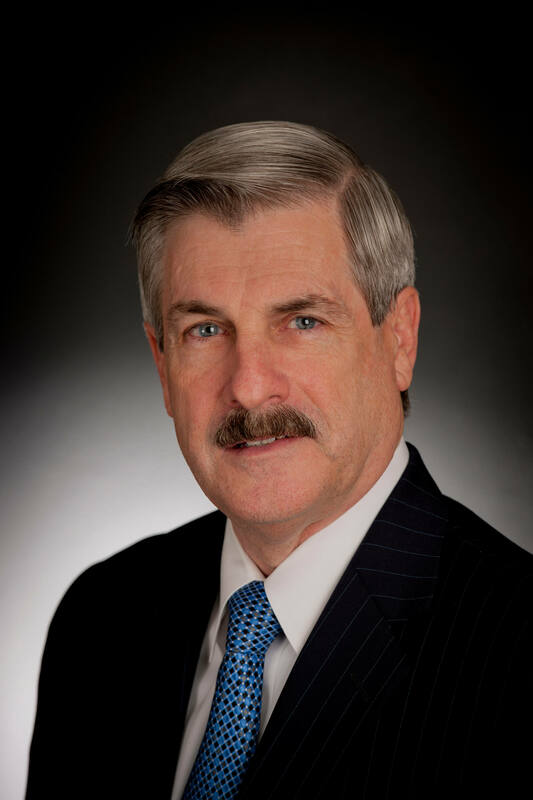 Scott Dueser, Board of Directors, Texas Tech Foundation: Mr. Dueser serves as chairman, president and CEO of First Financial Bankshares, Inc. in Abilene. He was named a Distinguished Alumnus of the Rawls College of Business in 2006. He is a former Texas Tech University System Board of Regents chairman. John Esparza, Board of Regents: Mr. Esparza has been a board member since 2013. He chairs the Board of Trustees of the Carr Scholarship Foundation at Angelo State University. Mr. Esparza is president and CEO of Texas Trucking Association and previously served as a senior adviser to former Gov. Rick Perry. Michael Farmer, Faculty Senate President: Dr. Farmer is an associate professor of natural resource economics in the College of Agricultural Sciences & Natural Resources. He holds a dual appointment in the Departments of Agricultural and Applied Economics and Natural Resources Management. Linda Hoover, AT&T Dean's Chair, College of Human Sciences: Dean Hoover was named to her current post Jan. 1, 2003. She joined the faculty in the nutrition, hospitality and retailing department in the College of Human Sciences in 1990. She has raised the college's national profile through her commitment to students, research and excellence. W.Brent Lindquist, Dean, College of Arts & Sciences: Dean Lindquist began his duties July 15, 2014. Prior to coming to Texas Tech University, he served as deputy provost at Stony Brook University, where he served in various capacities for 15 years. Dean Lindquist oversees the largest college at Texas Tech University. He is a widely published researcher who holds a doctorate in theoretical particle physics from Cornell University. Don Maddox, Board of Directors, Texas Tech Foundation: Mr. Maddox is past president and director emeritus of the J.F Maddox Foundation in Hobbs, N.M. The foundation has been a longtime philanthropic partner of Texas Tech University, recently committing $7.5 million to support research activities in the Whitacre College of Engineering and renovate the Engineering and Material Research Center (formerly the Mass Communications building). Victoria Messer, Student Regent: Ms. Messer was named Student Regent last year. She holds a bachelor's degree in political science from Texas Tech University and is pursuing her law degree from the Texas Tech University School of Law. She has served as a student intern for former Texas Sen. Robert Duncan and state Rep. Drew Darby. Linda Rutherford, President, National Board of Directors of the Texas Tech Alumni Association: Ms. Rutherford serves as vice president and chief communications officer at Southwest Airlines and has been with Southwest since 1992. She holds a journalism degree from Texas Tech University and was named an Outstanding Alumnus by the College of Media and Communication in 2002. John Steinmetz, Board of Regents: Mr. Steinmetz has been a board member since 2011. He chairs the Audit Committee. He is president and CEO of Vista Bank. Mr. Steinmetz is a former Texas Tech University Student Government Association president. Holton Westbrook, President of the Texas Tech Student Government Association: Mr. Westbrook is a senior Agricultural Economics major from Stephenville. He also is a member of President's Select and served two years in the Student Senate as senator. Aliza Wong, Former Faculty Senate President, Associate Professor and Associate Dean, Honors College: Dr. Wong joined the Honors College administration in 2014 and has been teaching in the history department since 2001. She serves as Director of European Studies and served three terms as a senator on the Faculty Senate. She has been honored with numerous teaching awards. For Texas Tech University System news and updates follow us on Twitter – @TTUSystem. The Texas Tech University System is one of the top public university systems in Texas and the nation, consisting of four component institutions—Texas Tech University, Texas Tech University Health Sciences Center, Angelo State University and Texas Tech University Health Sciences Center El Paso—and operating at more than a dozen academic sites and centers. Headquartered in Lubbock, Texas, the TTU System has an annual operating budget of nearly $2 billion and approximately 19,000 employees focused on advancing higher education, health care, research and outreach. In 2015, the TTU System's endowment exceeded $1.1 billion, total research expenditures were more than $215 million and total enrollment was approximately 50,000 students. Whether it's contributing billions of dollars annually in economic impact or being the only system in Texas to house an academic institution, law school, and health-related institution at the same location, the TTU System continues to prove that anything is possible.